How Google, Facebook and Twitter paved the road for bringing more brand dollars online. Digital appears to have finally reached a tipping point in being able to attract brand budgets away from television. According to IAB data, in 2015, digital continued to gain share and close in on the total spent on all television (broadcast and cable). The timeline below charts the significant milestones in the efforts of Google, Facebook and Twitter to bring brands and television budgets to their platforms from the launch of AdWords to today. Critical audience mass, ad formats that can tell brand stories, measurement capabilities that brands and their agencies can use to compare performance to television and the rise of mobile have all contributed to digital’s ability to slowly but surely chip away at TV ad spend. Why focus on these three companies? Well, Google and Facebook dominate digital ad sales — estimated to capture 85 percent of every dollar spent on digital in the US, according to Morgan Stanley. Twitter’s ad revenues might pale in comparison, but it pioneered marketing itself, not as a competitor, but as the “second screen” complement to TV, and as such, a natural partner for broadcasters and brand advertisers. What about Snapchat? Though just getting started, Snapchat earns a couple of mentions here, including Monday’s news that it’s opening up to third-party buying and expanding ad placements to run between Stories. Google launches AdWords with 300 advertisers and a CPM model. Google acquires YouTube (also the year Time selected “You” as the Person of the Year). Google launches Google TV Ads in AdWords “to bring digital buying and measurement technologies to traditional TV advertising,” as it was also aiming to do with radio and print advertising. Facebook debuts Facebook Ads system for businesses to promote brand messages with Facebook Social Ads targeted to when users take actions. Mark Zuckerberg told ad executives, “Now marketers are going to be a part of the conversation. And they’re going to do this by using the social graph in the same way our users do.” The company launched over 100,000 Facebook Pages for brands and other groups. Google launches YouTube Sponsored Videos, priced on a cost-per-click basis, with OfficeMax as the launch advertiser. Google renames YouTube Sponsored Videos Promoted Videos and expands placement offerings to include spots within the “related videos” section. Facebook partners with Nielsen to run BrandLift polls to measure ad recall, message association, brand favorability and purchase consideration of desktop display ads on the social network. Twitter starts testing Promoted Tweets in the timeline with Hootsuite. Targeting is based on factors such as who people follow. Google announces Google Display Network Reserve, bringing programmatic guaranteed buying on bundles of “brand-safe” sites within the Google Display Network. Aimed at driving awareness for brand campaigns and extending the reach of YouTube home page or First Watch buys. Facebook and Nielsen partner on Online Campaign Ratings to track ad performance and audience demographics on ads served on Facebook and other sites around the web. Anonymized Facebook demographic data — as well as data from other publishers — is combined with Nielsen impression data to give insights of the sort that Nielsen offers advertisers for their TV campaigns. (OCR became known as Digital Ad Ratings in 2015). Facebook starts showing Sponsored Stories in the desktop news feed for brands to target fans. Facebook announces mobile ads — Sponsored Stories and Premium — will start appearing in the news feed. 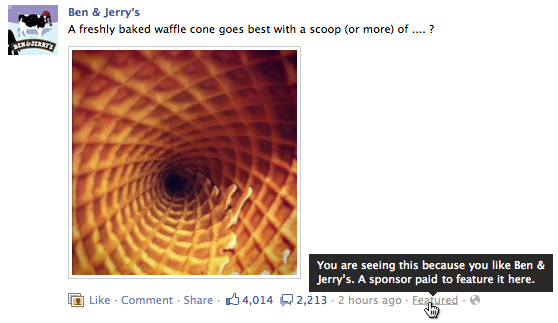 This marks the very beginning of Facebook’s mobile ad ascendancy and the shift of digital ad dollars to mobile. Facebook buys Instagram, reportedly for $1 billion. The first Digital NewFronts are held in New York with AOL, Google, Hulu, Microsoft, Vevo and Yahoo presenting to tout the value of digital ads — video, in particular — to traditional media buyers. Launches “Brand Activate” initiative to support adoption of brand-oriented metrics and new tools — Active View and Active GRP (Gross Rating Point, the reach metric used in television media buying) — to measure them across its ad-buying products. Launches AdWords for Video, allowing businesses to buy video advertising on YouTube through AdWords. Google’s MRC-accredited viewability measurement solution, Active View is not just for measurement anymore. It will be used for viewable-impression buying, allowing advertisers to pay only when ads appear in-view rather than on an impression-served basis on the Google Display Network and DoubleClick. Google says YouTube streams six billion hours of video monthly to more than one billion unique users per month and reaches more aged 18–34 viewers in the US than any TV network, according to Nielsen. Facebook launches 15-second video recording on Instagram and reports that Instagram has more than 130 monthly active users and 16 billion photos posted. Sets the stage for supporting video ads. Twitter rolls out TV ad targeting in US to advertisers running national television commercials, thanks to the acquisition of Bluefin Labs. Advertisers can target conversations about shows on which they advertise. With the rollout came a new set of data in the TV Ads Dashboard for TV ad-tracking analytics. Twitter-commissioned Nielsen study shows tweets increased Live TV Ratings for 29 percent of TV episodes measured, but more often — in 48 percent of episodes measured — higher viewership drove more tweets. Bonus fact: Jay Z debuts “Holy Grail” music video exclusively on Facebook; he’s the first major musician to do so. Twitter officially launches Amplify ad platform. In partnership with broadcast networks, advertisers can run pre-roll ads on video replays in near-real time for sporting and major live events, as well as clips from shows and other content. Revenues are split with the networks. Launches auto-play, muted video in the news feed. Begins sharing Public Feed API and Keyword Insights API with select media partners like CNN, Buzzfeed and BSkyB to show real-time activity about what people are talking about across the network and the number of posts that include specific keywords in a given time period with demographic and geographic breakdowns. Starts sharing social data with the four largest US TV networks to show user actions — likes, shares, comments — that episodes spark on the network and the number of people generating those actions based on a set of show-related keywords. This includes anonymized, privately shared actions. Nielsen Twitter TV Ratings launches. The Twitter-Nielsen partnership gives television broadcasters and advertisers the first standard metric for measuring second-screen viewership. Google nabs its biggest upfront deal yet with Publicis shop MediaVest worth tens of millions of dollars in guaranteed premium placements on YouTube, the Google Display Network and mobile networks. “In many ways, the deal confirms the tremendous momentum that we have on YouTube and the importance of online video to brand marketers,” Torrence Boone, Google’s managing director of agency business development said. Instagram launches ads with Michael Kors as the first brand to advertise on the network. Seals upfront deal with Publicis divisions Razorfish and DigitasLBi, reportedly worth $100 million. “It’s about positioning Google as a partner of choice in the brand space,” says Torrence Boone. Says it is testing third-party campaign measurement and reporting with Nielsen Online Campaign Reporting (OCR, now Digital Ad Ratings) and comScore validated Campaign Essentials (vCE). Twitter launches TV conversation targeting, an expansion of TV targeting, so networks and brands can promote tweets to users who engage with specific shows, whether or not a brand is running a spot during the program. Facebook starts testing Premium Video Ads with Summit Entertainment and Mindshare to promote a series of videos for the film, “Divergent,” in the news feed on mobile and desktop. Google integrates comScore validated Campaign Essentials (vCE) into DoubleClick so publishers and buyers can analyze desktop display and video campaign performance using a digital Gross Rating Point (GRP) system of measuring reach and frequency of TV campaigns. Launches Premium Video Ads out of beta: 15-second spots for brand advertisers. The ads auto-play on mute in the news feed and are bought on Targeted Gross Rating Points (TRP), like TV ads, and measured by Nielsen Online Campaign Ratings (OCR, now Digital Ad Ratings). Instagram scores its first upfront agency holding company deal with Omnicom, reportedly worth as much as $100 million in spend from brand clients. Twitter starts testing native video in cards, starting with Amplify content partners like the NBA. Google launches Google Preferred to sell guaranteed ad buys against the “top five percent” of YouTube content that is packaged into channels for brand advertisers. Beta testers included Johnson & Johnson and Heineken. DigitasLBi is first agency partner as part of an bigger upfront deal. Google announces ability for advertisers to measure interest in their brands based on YouTube searches. DreamWorks Animation launches DreamWorksTV channel on YouTube. Debuts “video views” ad type to target users that have already seen a marketer’s other videos to drive awareness and affinity. Adds Reach and Frequency capabilities for managed accounts looking to hit specific reach and frequency goals. Twitter launches Promoted Video ads as an extension of Amplify in beta with a cost-per-view model. Says it gets an average of more than one billion video views daily, with 65 percent of views happening on mobile. Starts showing video view counts. Announces it is testing showing a related video carousel on mobile after a video plays through. Relaunches Atlas to challenge Google’s DoubleClick ad-serving solution and begins promoting cookie-less “people-based marketing” and measurement capabilities across devices and offline. Google strikes video ad deal with snack giant Mondelēz, which announced it would shift 10 percent of ad dollars to digital video in 2014. Google updates DoubleClick Verification brand safety effort, including the addition of Digital Content Labels, giving advertisers the ability to bid on ad inventory based on movie-style rating labels on DoubleClick, YouTube, Display Network and AdMob. Adds “Big Game” Super Bowl ad targeting segment to allow advertisers to target users talking about anything Super Bowl-related, including parties, recipes, commercials and more. Says video views tripled since September 2014 to three billion a day. All of the major networks have joined Twitter Amplify, with the final holdout, ABC, coming on board for the Oscars that year. Tests continuous auto-play for video to automatically start a video after one finishes. Releases Nielsen data on BrandEffect studies to measure the impact of Facebook video ads. Shows Facebook ads drive lifts in ad recall, brand awareness and purchase consideration. Another Nielsen study shows a 79.5 percent correlation between Twitter activity and how engaged TV audiences are during show airings. The higher the Twitter activity, the higher the audience engagement at those times. YouTube says it reaches more 18- to 49-year-olds on mobile than any cable network, that the number of people visiting YouTube daily has grown 40 percent year over year and that four of the top 10 trending videos from 2014 were from brands. Facebook launches Anthology to produce branded video ad content for the news feed with a group of video publishers like Funny or Die, Tastemade and Vox acting as creative agencies, along with the Facebook Creative Shop, taking a page from BuzzFeed. Twitter launches Auto Amplify, bringing self-serve automation to the premium video Amplify ads and giving any video publisher on Twitter the opportunity to run six-second pre-roll ads against their content. Twitter launches auto-play video and a new measurement standard for viewable video. A view is charged when an ad is 100 percent in view on the user’s device and watched for at least three seconds. Launches Video Carousel Ads to give marketers the opportunity to show more video — for example, an automaker could show national and local ads spots in the same carousel. Adds Brand Awareness ad objective and optimization bidding for brand ad recall-driven campaigns for managed accounts. Starts supporting viewable impression buying on all ad units and third-party viewability verification and measurement for video ad views and view lengths provided by Moat. Releases data from a Nielsen study that shows when TV and Facebook were combined, advertisers saw a 19-percent increase in targeted reach versus TV alone across 42 campaigns; 37 percent for Millennials. Partners with Millward Brown on mobile campaign polling to measure brand awareness, ad awareness and other brand lift metrics. Google opens up to third-party viewability measurement on YouTube, starting with Moat. ComScore, DoubleVerify, Integral AdScience said to follow. Twitter announces advertisers will have the option to extend Promoted Tweets and Videos to logged-out visitors on desktop — an estimated 500+ million people a month. Twitter launches Conversational Ads to get people to tweet about brands with polls. Completes Moat integration for video ad analytics and viewability verification. Adds seven publishers to Anthology program for branded video development and syndication in the news feed after adjusting prices from a reported low “millions” of dollars to one million and beefing up audience data insights for brands. Launches Canvas ads, a full-screen, multimedia mobile ad format aimed at brands. Wendy’s, Lowe’s, Coca Cola, L’Occitane, ASUS and Burberry are among launch partners. Snapchat joins Nielsen Digital Ad Ratings program to measure reach of video campaigns, the demographic breakdown of the audience and Gross Ratings Points for comparison to TV campaigns. Twitter launches First View ad spot for video ads to appear at the top of users’ timelines for 24 hours. Facebook rolls out TRP buying for TV buyers and planners to extend reach of TV ads (“[P]lan a campaign across TV and Facebook with a total TRP target in mind, and they can buy a share of those TRPs directly with Facebook”), adds DMA and daypart targeting and offers tips for brands to optimize TV ads for mobile video. Verification is handled by Nielsen Ad Ratings. Google launches unskippable six-second Bumper ads to extend the reach of TrueView campaigns on YouTube. Audi and Atlantic Records among the pilot testers. Twitter renews upfront deals with three major agency holding companies in Q1, reportedly with a 40-percent increase in spend commitments. Seals upfront deal for Google Preferred YouTube inventory with Interpublic Group’s buying arm, Magna Gobal, valued at a minimum of $250 million between October 2016 and December 2017. Instead of coming from other digital budgets, Interpublic says the spend on Google Preferred will come from clients’ TV budgets — clients like Johnson & Johnson, Coca-Cola and Fiat Chrysler Automobiles. Announces Google Preferred Breakout Videos ad packages to target fast-rising videos on YouTube. Says YouTube reaches more 18- to 49-year-olds during prime time than the top 10 TV shows combined, and the number of hours spent watching YouTube on TV screens doubled year-over-year. Makes deal to include all NBA footage in the Google Preferred ad network. Says it will shutter LiveRail video ad tech platform it bought in July 2014, puts focus on Audience Network, which launched in April 2014 with app-install ads. Expands ad reach on Audience Network to non-Facebook users on other sites and apps — primarily in native ad units — with Custom Audiences and lookalike targeting. Google releases early findings that eCPMs on ads on AMP-enabled content are higher than on non-AMP (Accelerated Mobile Pages) content. Facebook brings brand-friendly 10- to 30-second pre-, mid- or post-roll video ads to Audience Network and Instant Articles with cost-per-view or optimized CPM pricing to hit view goals. Twitter strikes deal with Univision and Fox Sports to syndicate video clips of the Copa America soccer tournament through the Amplify program. The video highlights will include six-second pre-roll ads from seven global advertisers. Twitter says it has run 300 Amplify programs since launching three years ago. Snapchat says it will support programmatic buying from third parties by making its Ads API available to companies like Adaptly, Amobee and TubeMogul, will start running Snap Ads between Stories and is partnering with creative agencies to help brands produce Snap Ads.